Missionaries who respond to Jesus’ call and follow Mary’s model of faith and love to serve those in need throughout the world. At Fatima, Our Lady’s implored each of us to pray the Rosary for world peace. Missionary catechists answer her request by teaching children and their families prayers, especially how to recite the Rosary. The Daughters of Mary of the St. Joseph Province in Tamil Nadu, India teach the children the basics of colors, numbers and letters. And, of course, each day is filled with the most important lesson of all – who Jesus was and how much He loved them and how to pray to Him! Our Mother, Mary, traveled to Elizabeth in her time of need to comfort her. 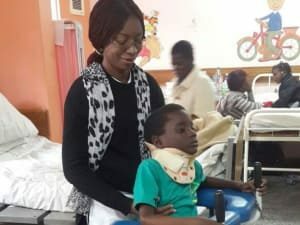 In the Catholic Diocese of Lusaka, Zambia, Missionaries console hundreds of patients, including children with disabilities, at the St. John Paul II Orthopedic hospital. This small Mission hospital has only one consultation room. Resources are needed to expand. “. . . Mary kept all these things, reflecting on them in her heart.” Luke 2:19 Our Blessed Mother, throughout Jesus’ ministry on earth, was always present for her Son. In many ways, like Mary, the true gift of being a Missionary is being present to those you serve. There may not be enough money to provide for all their people’s needs, but their presences is invaluable. Mary, with the Apostles, spread the “Good News” of Jesus after the Resurrection, just as the Dominican Sisters of Mary Immaculate in Saigon, Vietnam are doing today. The Sisters provide free tuition for children from poverty-stricken homes. The Sisters also instruct and care for children with disabilities. Mary at the Wedding at Cana, responds to the needs of others and asks her Son to intervene. The water turned wine brings renewal and continuity to the Wedding. 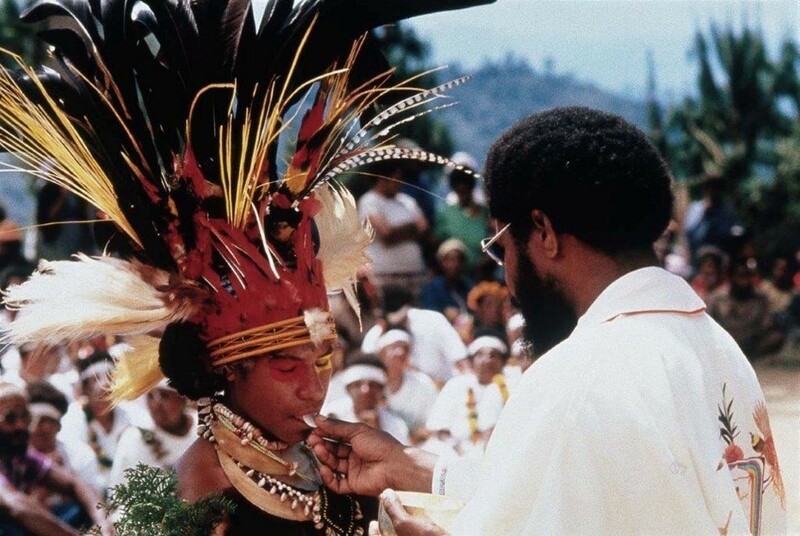 Both spiritually & physically, Missionaries help “renew” the people they serve. Physically, water is essential to life. 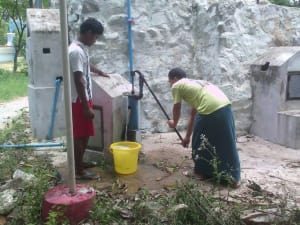 In the Archdiocese of Mandalay, Burma water contamination poses health hazards. Though water is abundant, it has heavy lime content and therefore not potable. 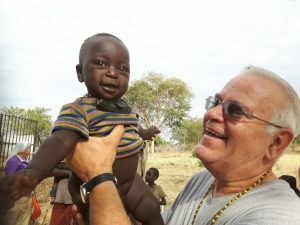 Father Thomas, an Archdiocesan priest, brings faith to his community and is raising money to drill a new well to provide clean and safe water.